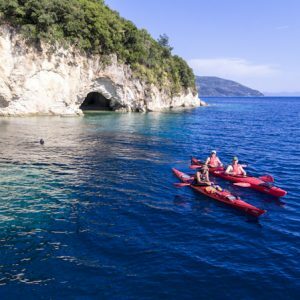 An awesome Sea Adventure with double-sea kayaks in Meganisi island. 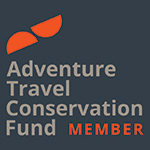 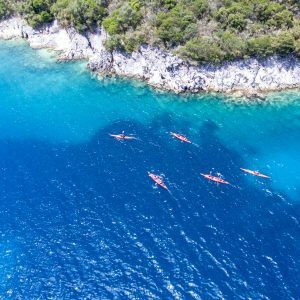 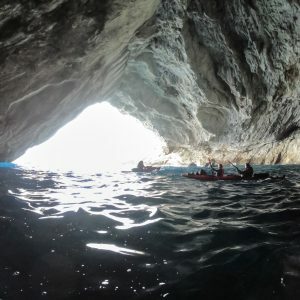 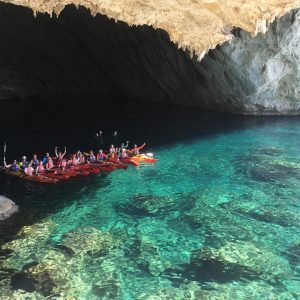 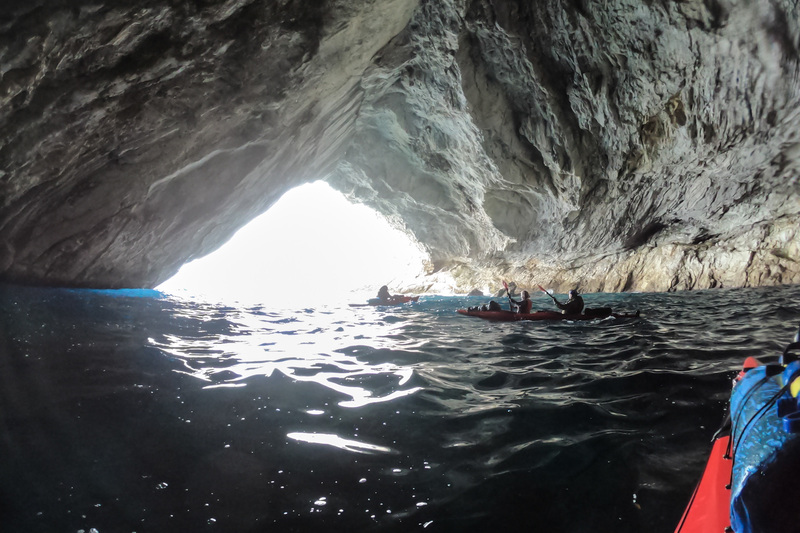 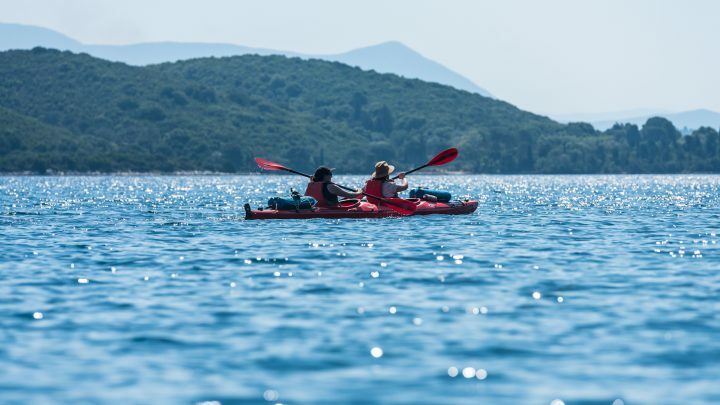 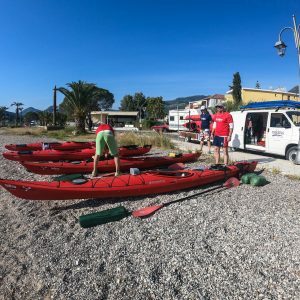 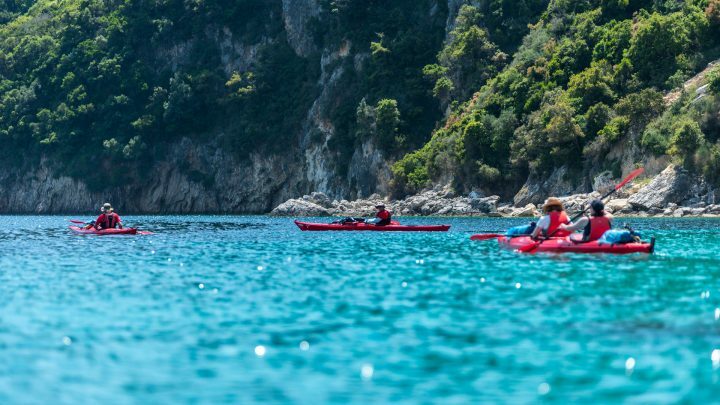 We begin the tour in our two-seater sea kayaks from the Gulf of Rouda on Lefkada island and row our way South – East, shoreline the rocky, steep cliff-side. 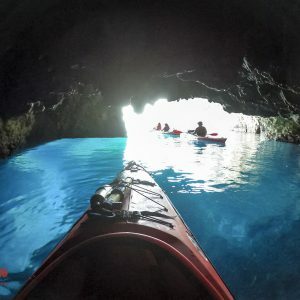 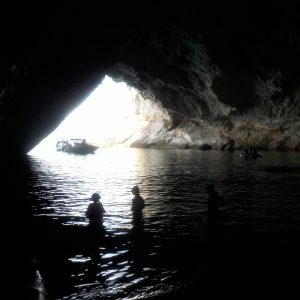 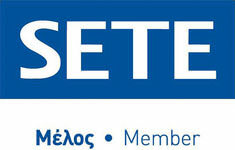 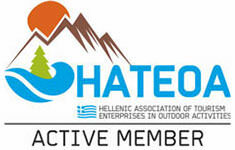 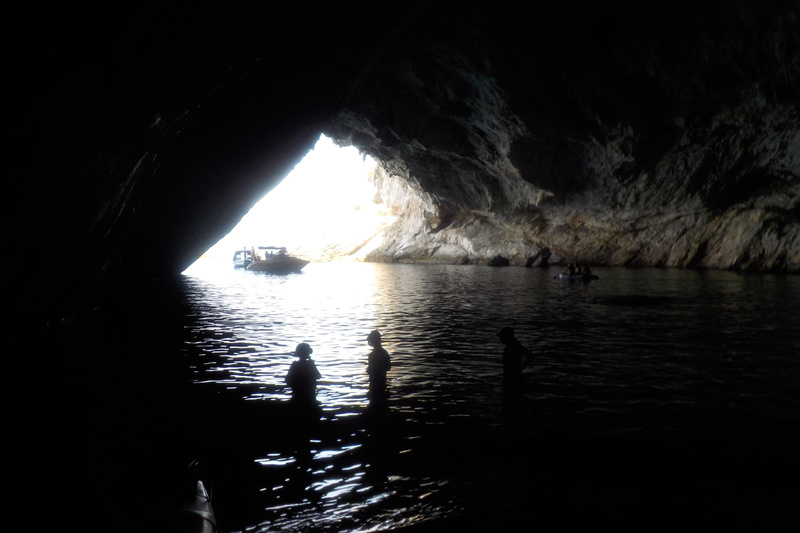 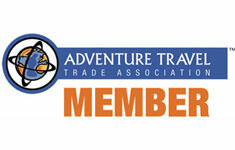 Our first stop will be at the blue cave of Lefkada, which entrance is well hidden. 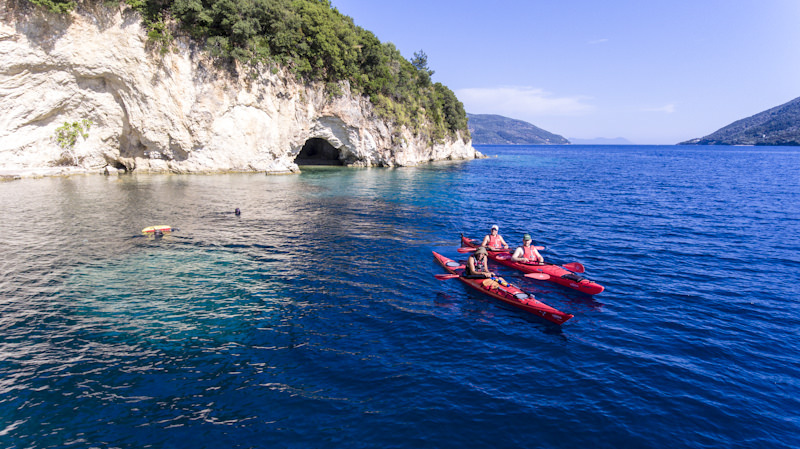 Afterward, we set off for Meganisi island and the caves of Giovani and Papanikoli, where we will enjoy our delicious meal consisted of fresh fruit, juice, mountain tea and sandwiches filled with local products. 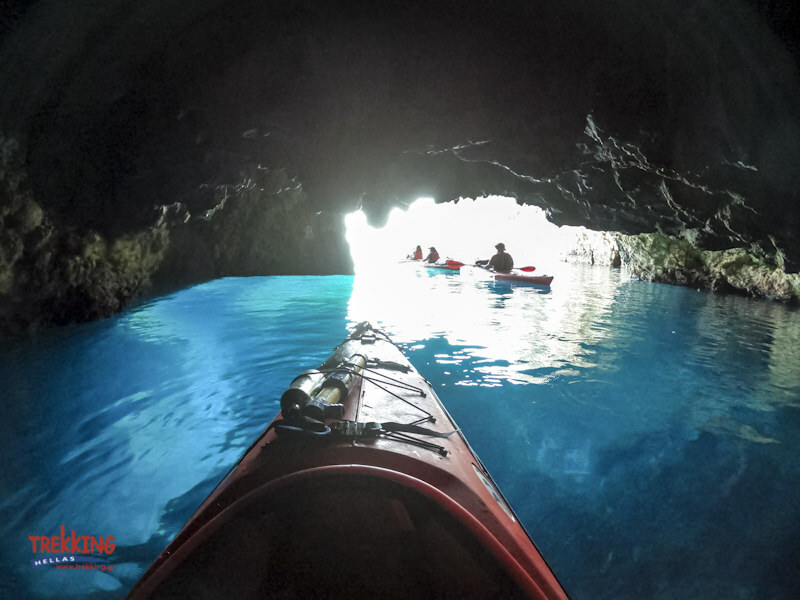 We will explore the deep blue of Papanikolis cave with our goggles and flippers. 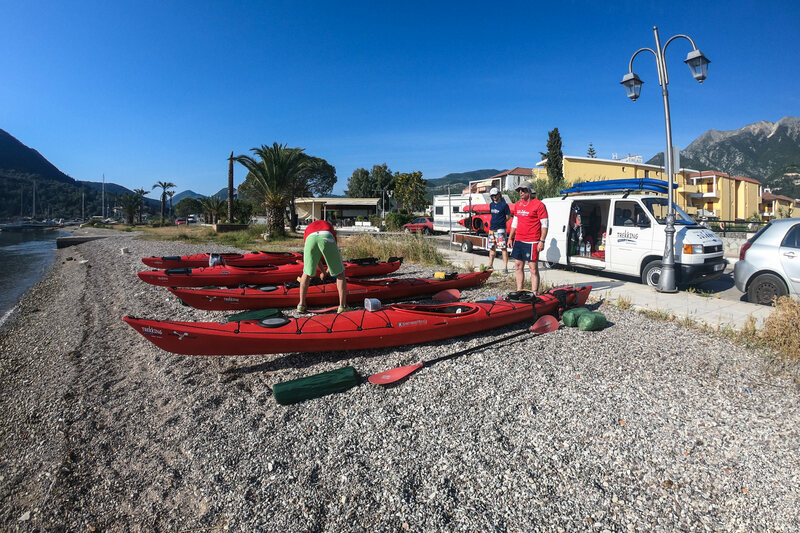 Once we have a small rest, we start to return to our meeting point. 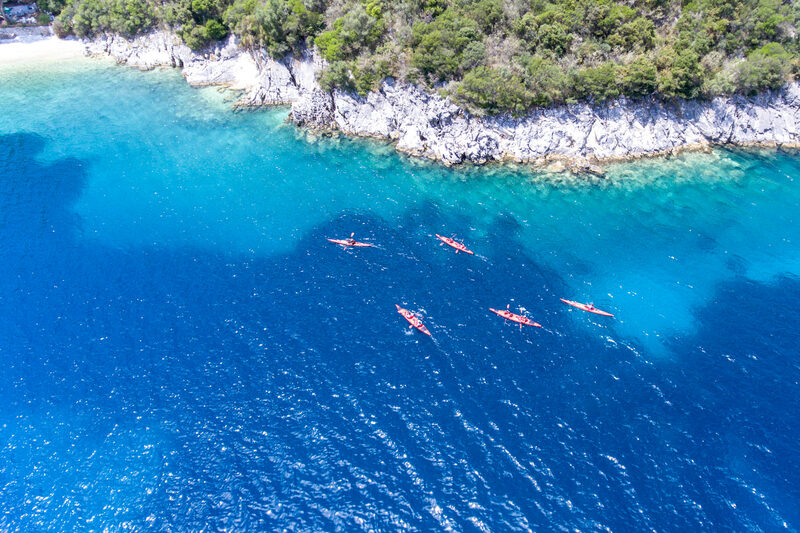 If we are lucky, we will be accompanied by dolphins. 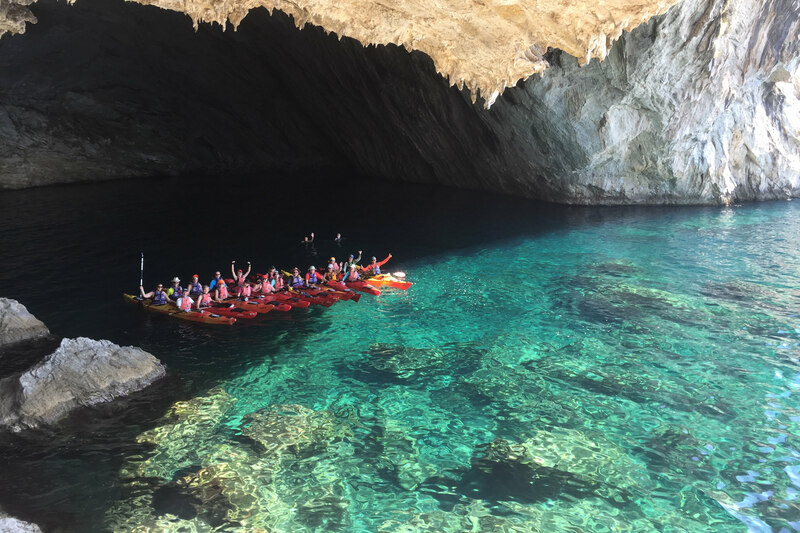 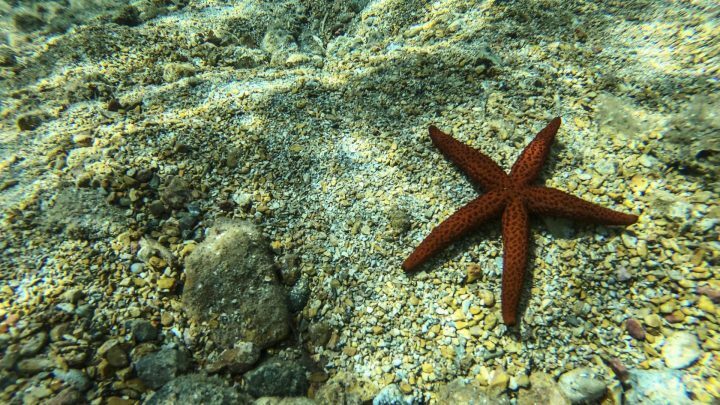 Our last stop will be at the cave of Peristera, where we can enjoy a swim in the crystal clear waters of Rouda bay.